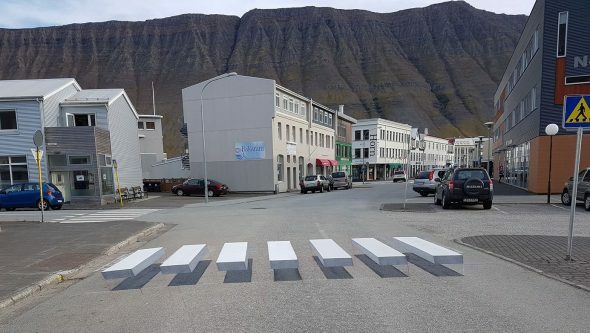 In an effort to get drivers to slow down at an intersection, the city of Ísafjörður, Iceland, decided to use a trompe l’oeil painting to potentially fool drivers behind the wheel. The painting of a pedestrian crossing area was designed so that it appears to be floating a few inches over the pavement. The “trick” only works when viewed from this angle, but I wonder how many drivers have pumped their brakes as they approach this unique intersection? I recently received a copy of a new optical illusion book by Philippe SOCRATE titled Tous les secrets des illusions d’optique (which translates from French to “All the secrets of optical illusions”). The book was published this month by Eyrolles in France. Unfortunately, I do not speak French, so I was unable to read the text included in the book. That did not stop me from enjoying the terrific visuals that Philippe created for this volume of optical illusions. Presented below is one of the images that I particularly enjoyed from the book. 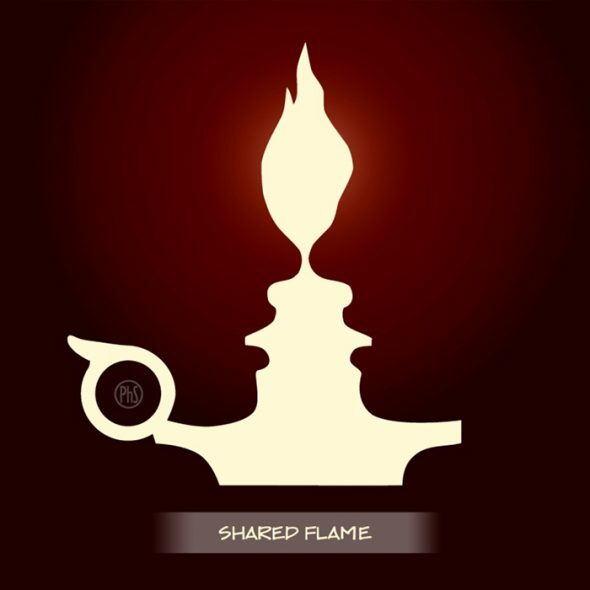 It is called Shared Flame and is a take on the old face/vase optical illusion concept. Do you see a candle and flame or two faces looking at each other? Joel Ydring, from Sweden, had a little fun with his daughter Tilla on a sunny day at the beach. Using his mobile phone camera and the space available on the beach, he created this fun video featuring his daughter. As the little girl runs toward the camera, you begin to realize that it is an illusion involving forced perspective. As the camera pans, the actual configuration of the letters reveals itself. This creates an interesting play with size, distance, and the perhaps most important – the joy of learning. This video was selected as a finalist in the 2017 Best Illusion of the Year Contest. 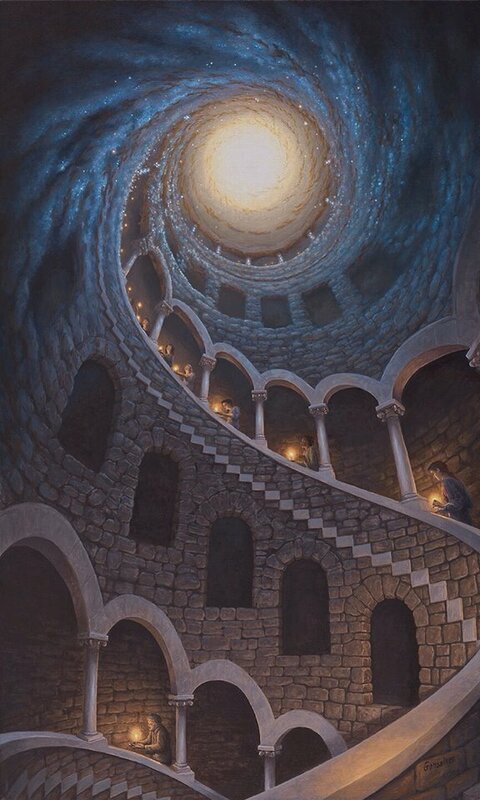 I am extremely saddened to have learned about the passing of one of the great masters of illusion – Rob Gonsalves. According to his official Facebook page, Rob passed away on June 14, 2017. I just found out about this a week ago when speaking to a mutual acquaintance. I was fortunate to feature several of Rob’s paintings in a couple of optical illusion art books that I published – The Art of the Illusion and The Art of Deception. His talent and imagination had no boundaries and will be missed. This optical illusion, designed by Victoria Skye, is based on the Cafe Wall Illusion. 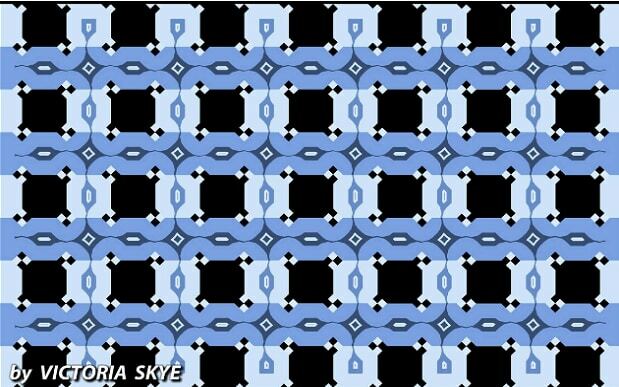 Do the dark blue horizontal bars appear to be parallel or angled? If they look angled to you, have another look or grab something with a straight edge as they are straight and parallel. 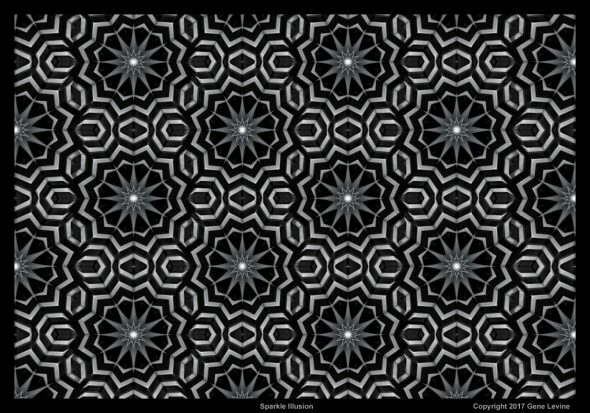 The alternating black and white patterns where the lines intersect and the colors all work together to fool your brain. What is the first thing you see when you look at this image? 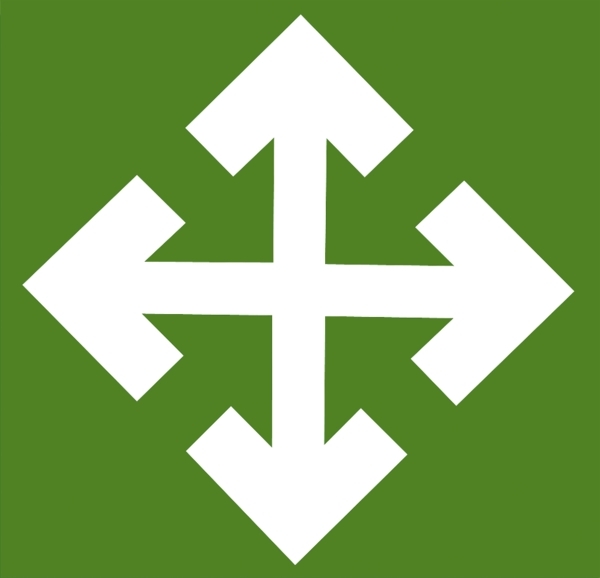 Do you see four white arrows pointing outward or four green arrows pointing inward? Can you see all eight arrows? Try to flip-flop back and forth between the two different variations of this ambiguous green and white image.